The first moral code based wholly on common sense, originally published in 1981, its purpose is to help arrest the current moral decline in society and restore integrity and trust to humankind. The Way to Happiness further holds a Guinness Record as the world’s single most translated non-religious book in the world. 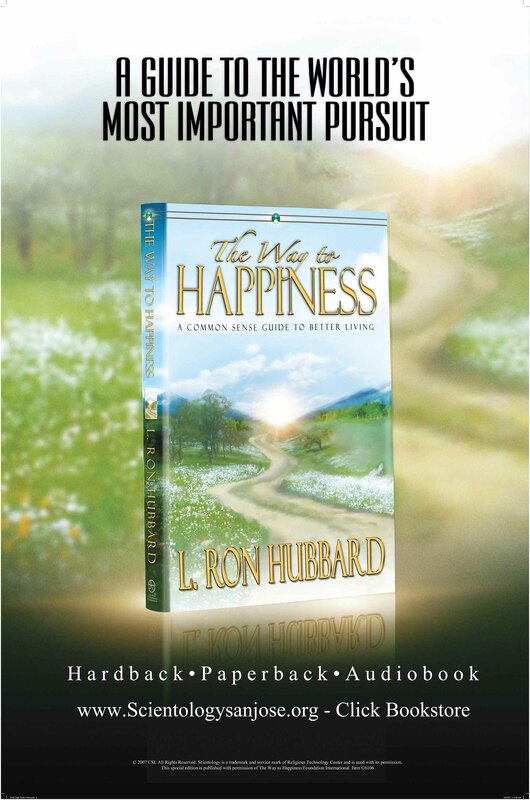 Written by L. Ron Hubbard, it fills the moral vacuum in an increasingly materialistic society, containing 21 basic principles that guide one to a better quality of life. This code of conduct can be followed by anyone, of any race, color or creed and works to restore the bonds that unite humankind. But the real power of the book is realized when it is distributed to others, hand to hand. Since the actions of those around you can affect your life, you are improving your own survival when you present copies of The Way to Happiness to friends, associates, employees and customers. In this way, you help others survive better and lead happier lives. They, in turn, pass copies of the book to those whose lives they influence, encouraging others to treat their fellows with kindness, compassion and respect. And so it goes, moving from person to person, helping others to live better lives. It is possible to be happy and to help others to be happy as well. Just follow the simple guidelines laid out in this book. 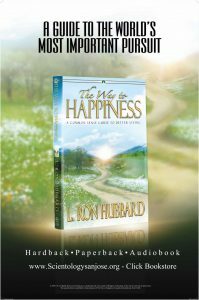 We would be happy to mail or email a free Way to Happiness booklet to you. Please fill in the form below for your copy. For more information on how you can help us with our local Way to Happiness campaign please call Karen at 408-409-5398. Or email us at info@scientologysanjose.org.